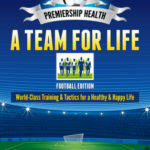 Premiership Health – A Team for Life! I’m not a rocket scientist, or a quantum physicist, a microbiologist, or a geneticist. I’m certainly not a politician or a bureaucrat. I’m just a humble GP, from humble beginnings and a football fan. Which in a way, gives me an advantage. Everyday, I get to communicate on a physical and emotional level with lots of different people/teams. I get to deal with the stresses and strains, both my own and other peoples. Look at the diseases, the pain, the anxiety people suffer and to listen to their stories, then at the weekends I get to do the same at the Football! I was Medically trained at Imperial College London, St Mary’s Hospital Paddington and by my patients in General Practice. Football trained on the school playground at lunchtimes, the local park before teatime and the stories of Roy of the Rovers at nighttime and finally, Life trained in the Heart of the Country on the emotional rollercoaster of highs and lows, twists and turns, heading for a final destination between hope and acceptance. I’ve been on it for many years now, and gained a lot of experience. A lot of information from a lot of different people and a lot of different stories, and this has been a great opportunity for me to grow. It is this growth and communication which lies at the heart of Premiership Health. 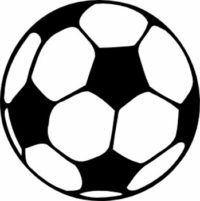 The game today is changing at an alarming rate, the intensity is increasing and the stresses and strains of the modern game are taking their toll, often to the detriment of our health and happiness. We need to become managers of our own health, we need to change the way we think, the way we feel and the way we live, and create an environment in which we thrive and enjoy a long and successful career in the game of life.